Get a look at the newest Star Wars soft vinyl figure coming from Kotobukiya. Information about Star Wars reshoots and rumors about the next installment of movies! Han Solo, Yoda & Boba Fett. The official "Star Wars" website has posted a great interview with Creature Shop Supervisor Dave Elsey on creating the makeup effects for Star Wars: Episode III - Revenge of the Sith. "Here's where the fun begins..."
'You Want This Don't You?' - THX 1138 & Star Wars: The Trilogy Both On DVD! Get a double shot of George Lucas only a week apart! THX 1138 and Star Wars: The Trilogy! Both being released in September of 2004! 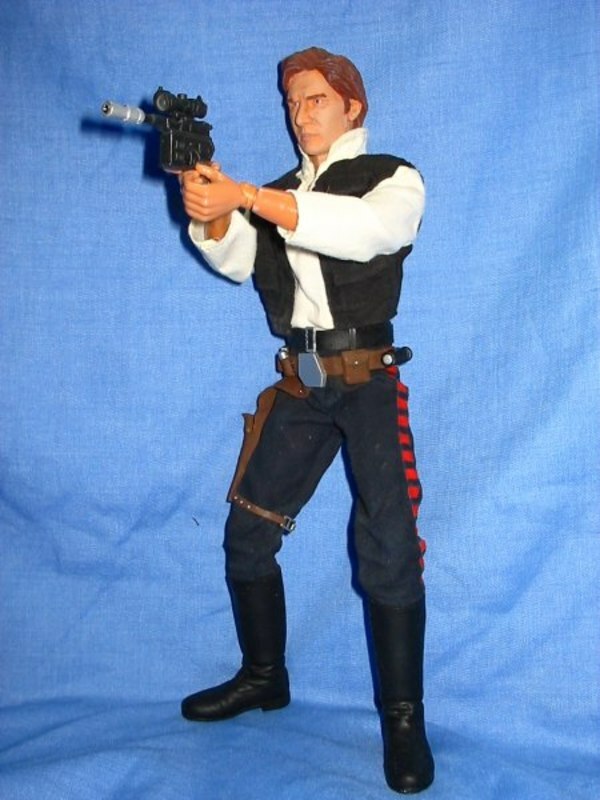 This weeks Cool Custom is of a 12" Star Wars Han Solo figure By Hemble. Adi Gallia, Young Anakin Skywalker & Saesee Tiin. C-3PO and Darth Vader available this Fall.